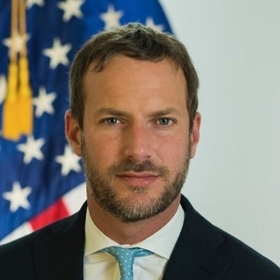 HHS Secretary Alex Azar has chosen Adam Boehler to serve as the agency's senior advisor on value-based care efforts. Boehler is now director of the Center for Medicare & Medicaid Innovation and will continue in that role. "[Boehler] is the kind of results-oriented, transformational leader we need to deliver on what President Trump has promised the American people: better healthcare at a lower cost," Azar said in a statement. Moving to value-based care is one of Azar's four key priorities for HHS, the other three are addressing opioid crisis, lowering drug prices and health insurance reform. Azar has already appointed senior advisors on each of his other priorities. As part of Azar's focus on value-based care, he seeks to push for greater interoperability of health IT systems, improve transparency around prices charged by providers, launching new care models in Medicare and Medicaid, and reducing regulatory and legislative burdens to care coordination.